According to CNN while in Sarasota, Florida Donald Trump on Saturday touted his opposition to gun control, the day after a shooting rampage outside a Planned Parenthood clinic in Colorado killed three people. At a Sarasota, Florida rally, Trump didn’t mention the episode, in which one officer and two civilians were killed. But the mogul did cite the recent Paris attacks, in which more than 130 people died. The billionaire businessman’s Thanksgiving weekend event came amid mounting criticism over his apparent taunting of a New York Times reporter’s physical appearance. Trump has denied mocking the scribe’s physical disability. The New York Times earlier in the week issued a statement condemning Trump, while the mogul maintains it’s the news outlet that should be saying sorry. It’s only the latest brouhaha in a campaign filled with taunts and insults of political opponents, media critics and others. Though before the Sarasota rally Trump showed a softer side, at least briefly. After his helicopter landed, Trump called for some children to go up in it, a stunt he pulled in Iowa this summer as well. Trump’s campaign on Saturday also announced the endorsement of Kathryn “Kat” Gates-Skipper, the first female Marine in combat operations. An Atlanta news anchor nails it when explaining what the actual purpose of the Second Amendment is and why the Founding Fathers thought it was so important. Ben Swann, host of CBS 46’s show “Reality Check,” explained on Monday that the right to bear arms isn’t just about hunting or personal protection; it’s about preventing the government turning on its own people. He explained that much of the modern debate over the intent of the Second Amendment centers around whether or not private citizens should be allowed to own guns. 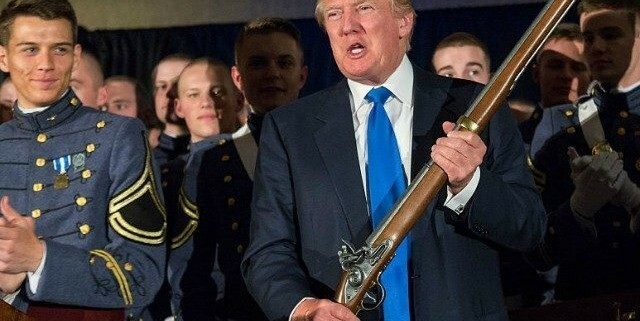 At the time the Constitution was drafted, private gun ownership was considered to be an indisputable right by the Founding Fathers and their fellow countrymen. An army is necessary to protect its citizens, but both Federalists and Anti-Federalists were worried that if a government were to become militarized, nothing would keep it from growing too strong and eventually becoming tyrannical. Thus, the Second Amendment has provisions for both a well-regulated militia, which consisted of pretty much every male with a pulse, and the right for private citizens to bear arms, which appeased both the Federalists and Anti-Federalists. You can read a transcript of the full segment here. On Fox New’s “The O’Reilly Factor,” correspondent Jesse Watters often goes to college towns, microphone in hand, to document the airy ignorance of some college students. Now we know it’s not really their fault. 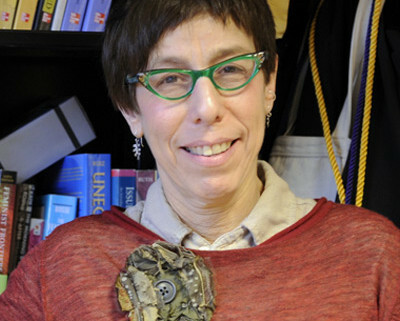 That’s Barbara LeSavoy, director of Women and Gender Studies at The College at Brockport. You’d think she would know something about the U.S. Constitution and the way the country works. But alas, she seems pretty clueless. How? It seems pretty simple to her. No, President Obama doesn’t have that power. What’s standing in his way isn’t political meekness, as professor LeSavoy implies, but the Second Amendment. Professor LeSavoy’s letter doesn’t make it clear how she thinks the government should go about collecting all those guns she wants the president to ban. But any such effort would be disastrous. The point here is that professor LeSavoy is a celebrated scholar and thought-leader in academia. So maybe we should give college students a break. It’s not their fault.